No matter the occasion, the team at FlowerMagic, based in Langport, Somerset, hand delivers amazing flowers to your loved ones. Make a special day even better with our excellent range of flowers, including outstanding birthday and anniversary flowers. We understand that flowers are presented as gifts for a range of occasions, and when we deliver your arrangement, be it large or small, we ensure the flowers are perfect every time. Do you need fabulous flowers to brighten up your event, bring joy to a celebration, or add beauty to that special occasion? Choose FlowerMagic to help you out! We provide the finest flowers for all occasions, all of which are individually quality checked, conditioned and selected by our expert florists. They’re then turned into beautiful displays including Aqua Packs, Hand-Tied bouquets and basket arrangements. 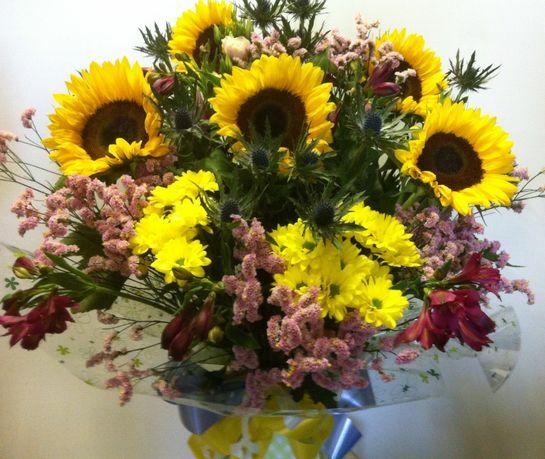 Contact us, in Langport, Somerset, to find out more about our anniversary and birthday flowers.